Forever Grey presents a pessimistic domestic music making opportunity for it’s owner. The book can be played by any four instruments sat at any four sides of a table. It has no front or back cover. No beginning or end. It can be played in two directions. 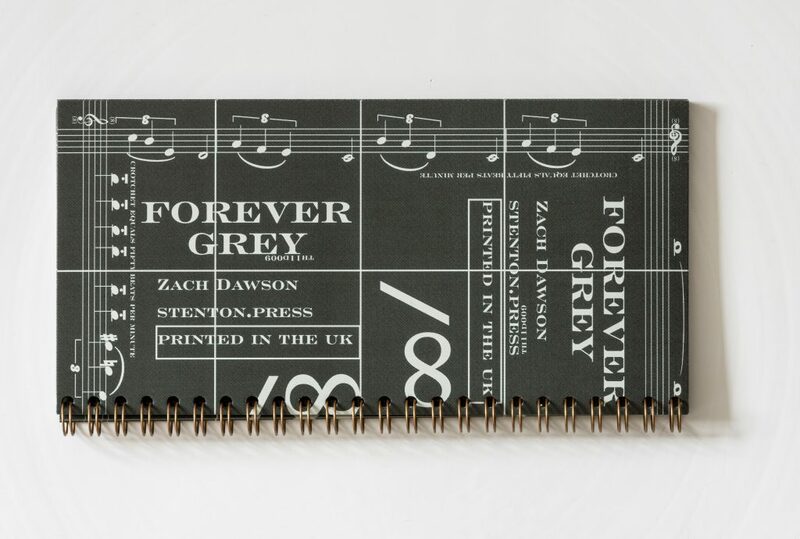 Forever Grey is collaboration between stenton.press and Zach Dawson. It was conceived and created in Birmingham, UK.